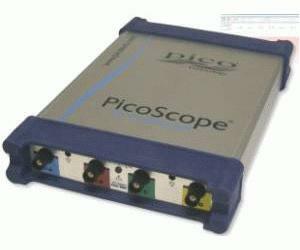 The PicoScope 3425 comes complete with our feature-rich PicoScope 6 oscilloscope software. Multiple scope and spectrum views, automatic measurements and a waveform buffer for storing multiple events can all be controlled using the familiar Windows interface. Data from PicoScope can be exported in text, binary and graphical formats. PicoLog data acquisition software is also included along with a software development kit (should you wish to use your PicoScope 3425 in your own applications). Note: List Price is approximate.